Personalized pewter & black 48” arc umbrellas are generally sought for business gifting during tradeshows or other such important marketing events. Features – 48” arc pewter and black nylon canopy, metal shaft with wooden handle, and automatic function. 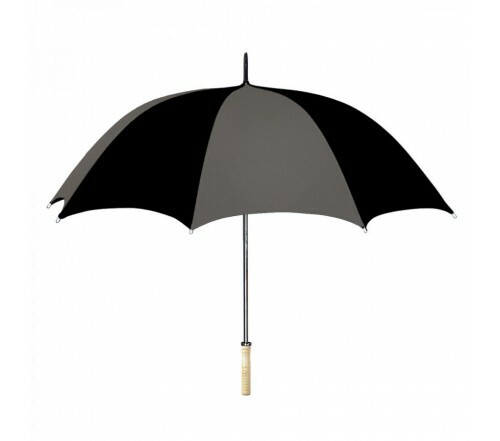 Promotional pewter & black 48” arc umbrellas are favorable for all types of marketers because this color combination possesses a unique universal appeal. 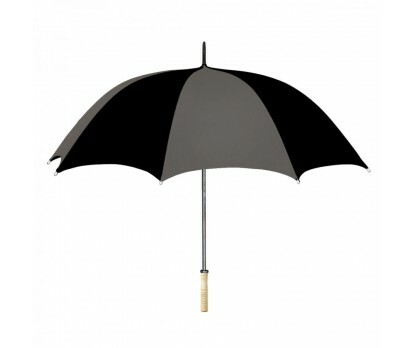 This umbrella possesses a very distinct charm and stands higher chances of acceptance from crowd.